Amazon Canada Amazon.ca Valentine's Day Deals: Echo Spot $135, Kindle Paperwhite (2018) 8GB $110, Fire TV Stick 4K $55 + More Get the Fire TV Stick 4K for $55 + More! Find someone who loves you as much as you love shopping at Amazon.ca, because they're featuring a few Valentine's Day Deals where you can save on Amazon devices including the Fire TV Stick 4K, the new waterproof Kindle Paperwhite and more! Yeah it's same price on Amazon. It's apart of their Valentines sale. Was looking to purchase a chromecast recently but saw this thread. What's the difference between this and a chromecast? Any recommendations ? Thanks but the code will not work with certain items. Discounts up to $30 are available on other items. *Promo code is redeemable Feb 8, 2019 only. No cash value. Online only. Discount applies to one purchase, before taxes and fees. EHF (Environmental Handling Fee) pricing varies by province and will be included (where applicable) when you place your order. Cannot be combined with any other offer. EPP, PSP, B2B and Dealer discounts excluded. Discount cannot be used towards purchase of Apple products, Bose products, Sonos, Fitbit, Google products, UE, JBL, Pre-orders, Amazon products, Gaming Hardware, hard drives, Door Crashers, Daily Deals, The Source Gift Cards, all prepaid cards (iTunes, Xbox, etc. ), prepaid airtime cards, digital downloads, mobile phone plans and security deposits. One (1) per customer. Additional conditions, limitations and/or exclusions may apply. For online redemption enter code in promo code box during check out. You should do some research, they’re totally different devices. Chrome cast relies on an external device (like your phone) for streaming. 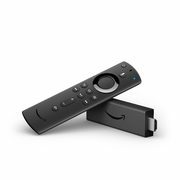 The fire stick is a stand alone device with a remote. There’s a ton of other differences. I use a fire tv since I don’t have to use my phone to control it. Thx will do Probably gonna go chromecast anyways since I have google home at home already.. I get... "We’re sorry, the promo code [Feb5] you’ve entered can’t be applied." There it is bolded... oh well. If you are hoping to use this code, don't. Because it won't work, I tried. Discount cannot be used towards purchase of Apple products, Bose products, Sonos, Fitbit, Google products, UE, JBL, Pre-orders, Amazon products, Gaming Hardware, hard drives, Door Crashers, Daily Deals, The Source Gift Cards, all prepaid cards (iTunes, Xbox, etc. ), prepaid airtime cards, digital downloads, mobile phone plans and security deposits. If you are doing research, I suggest you look into Android TV as well. It can do chromecast in addition to other things. Ya.. go for a mibox or Nvidia shield. Do you guys use the Chinese Mibox ? It's not as straight forward as i thought. No.. I use the one from US Walmart.. It looks similar but it is different. yes, check rfd's mega thread, people are sharing codes. Misleading! The user only initiates the stream from a phone; once the stream is "cast" to the Chromecast, the phone can be turned off, and the Chromecast will do the streaming by itself. Do i need echo dot to use voice control on remote? No, the remote has a microphone built into it. You pick up the remote, press the voice button and then talk into it.